One of the best ways to play “armchair traveler” and find places for your next adventure is to follow the travels of full-time travel bloggers. Instagram, with its focus on beautiful pictures, is a great way to discover new places. For female travelers—not to mention wanderers who are part of the LGBTQ community—keeping safe in strange places has to be in the back of their mind. 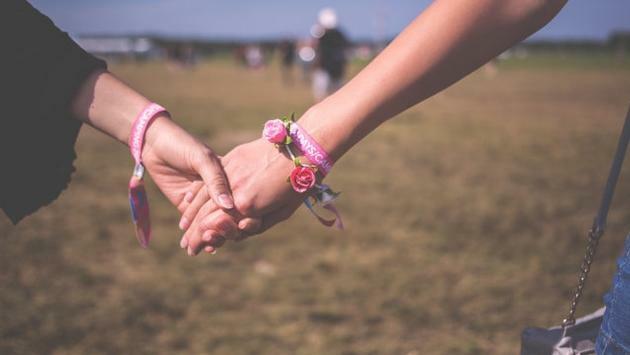 But these seven lesbians and lesbian couples deserve a follow, as they will show you where to explore next and give you inspiration to just drop everything and go. Self-described “lesbian adventure bloggers, Valerie and Jessi have been trying out new states and cities every few weeks for the past year. They’re big on mountains and being outside, and they share their experiences from campground to campground. They also seem to gravitate toward bodies of water, so you’ll definitely see some gorgeous stretches of sand. Follow them for a while, and you’ll feel like their adorable camper is a family friend. Lisa Hall, a single woman who likes to travel alone, often meets up with other like-minded travelers. Originally from Southampton in the U.K., this former police officer is taking a four-year career break by traveling the world. Lisa is currently in Europe, with plans to hit South America in 2018 and Asia during 2019. Lisa tends toward landscapes and buildings, with an occasional selfie that creeps in. She also has a YouTube channel dedicated to her travels. In addition to being one of my favorite Instagram name puns, Sunny and Karin (and their photogenic pooch, Gracie) document their world travels in a Landcruiser. Their posts can alternate between starkly beautiful, humor-filled and poignant. They started their extended journey in Nashville and have traveled throughout the United States, Mexico and Central America. They’re currently somewhere in Utah. Steph and Tay are black and Xicana queer travel bloggers, and they call Texas and Madrid home. Their feed is chock full of photos of the ladies in a variety of locales, but you won’t grow tired of seeing their joy-filled faces. In fact, their sense of adventure often jumps right off the screen, and you may find yourself wanting to go nomad yourself. Australian Jesse is not only a dedicated traveler but a big foodie, so you’ll find some mouth-watering pics in her feed. (Mmm. . . bacon.) Her photos and adventures vary widely, so you never know what you’ll see next—from Adelaide to Singapore to the Philippines. You won’t be able to help falling for Leslie’s sweet smile, as this Canadian adventurer explores the world and her home base of British Columbia and the Pacific Northwest. She posts a nice combination of urban pics and miles-from-it-all outdoor landscapes, including hiking and camping journeys. And she’s prone to throwing in a pun whenever possible; Who doesn’t like that?! Currently in Thailand, this active couple with a great eye for photography will transport you to unspoiled beaches and exotic locales with their feed. Their website even gives tips on how to spruce up your photos before posting to Instagram.